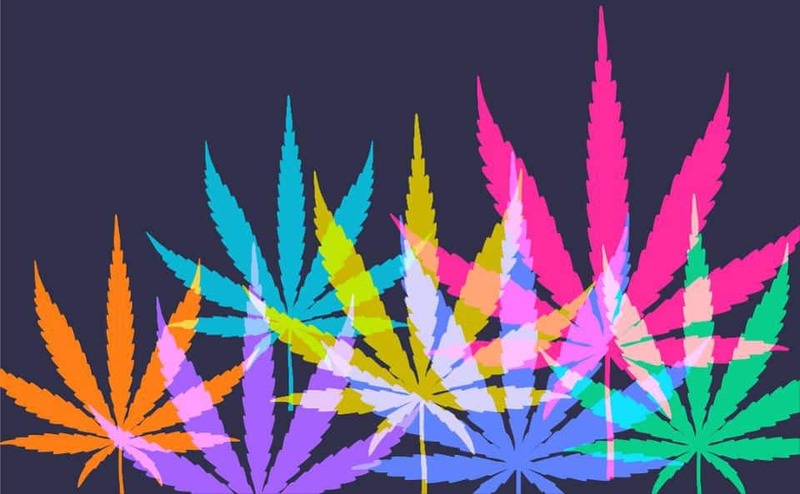 The popularity of cannabis as decriminalized recreational and medicinal marijuana has hit the US legal cannabis sales up to $10 billion in last year. Its sale is expected double the market size in coming years and may lead to $20 billion by 2023. With these rising sales, the emergence of new vertical technology “cannatech” can be witnessed in the marijuana market. Looking at the agricultural and business aspects behind its growth in the market, it offers a perfect ecosystem for new-age technologies to intervene in the process. Despite all the fame, there are still some obstacles come in the way of growers, manufacturers, and retailers in this business. The inclusion of high taxes, refusal from banks, competition with the black market are some of the major challenges for the traders in the industry. There is a need for proper organization and efficiency in marijuana’s business operation. How IoT is establishing links with Marijuana Business? Nearly half of the US residents are allowed to grow their own plants. To ease their labor and make it more feasible, people are using more and more technology for the purpose. To meet the demand of this large-scale operation, technology is expected to contribute to the better crop outputs. For those residents who do not show interest in growing their own products, there is a world of recreational and medicinal jobs. These shops need technology to cope up with legal demands and optimize the customer shopping experience. To meet with such demands, the tech-companies come into the picture to bridge the gaps in this new legal business. The cultivation of Marijuana is a difficult task. If not done properly there are many factors that can lead to the death of the plant or formation of male flowers used for hemp. Notably, only female flowers can produce cannabinoid compound which is sought by users when required. A major proportion of people prefer to buy marijuana from recreational or medical shops than growing it on their own. Since the legalization of the product, the demand has increased in the market leading to excessive pressure on growers for high yield. To handle such pressure, they have started employing IoT (Internet of Things) for better management of these crops. Certain entrepreneurs are retrofitting prevailing IoT technologies including agricultural sensors, a connected farming system in order to manipulate environments for the growth of cannabis. Growers can fix thermostats, temperature controls, add humidity sensors, set up scheduled watering, light cycles to ensure the favorable condition for the growth of the plant. Ultimately, this leads to higher crop yields and less loss of viable plants. The technology of IoT enables growers to access and manipulate the condition control using their smartphones, tablets or computers. The recorded data from these operations, later help in developing predictive analysis for futuristic efficiency build up such crops. Understanding the sensitivity of this crop, the legalization has presented a regulation called a seed-to-sale system to track the sales procedure of it step by step. • The system uses tracking IDs including barcodes, RFIDs, or other identification metrics for identifying plants at their germination process. • These IDs are further used for tracking following its growth harvesting drying and wholesale process. • The enforcement of these systems compels the growers to stick to it for insights. • Growers/retailers can have access to the information related to each plant or product via a software-as-a-service (SaaS) platform. • Considering the potential of the plant for being misused or abused, the tracking system allows the state to look into the inner workings and procedure of the industry at varied steps to recognize issues at primary levels. • Without cannatech, it would not have been possible for companies to control the entire seed-to-sale supply chain with proper insights. As aforementioned, the market is going to expand in the coming years, the expansion of cannatech will be at great scale. It has already extracted much of significant attention as more and more firms are showing interest in investment. The cannatech start-ups are finding it easy to gain capital and thrive in this dynamic business.